The 2-hour extension only applies to maximum DRIVE TIME. The 14-hour shift clock and 70/80 hour cycle clocks will stay the same. Adverse Conditions can only be used to get to safety, or to finish a run that could have reasonably been completed under normal circumstances without a violation. Only unexpected or unusual events qualify. It doesn't count if you knew about it before being dispatched, like a forecasted weather event, or if you could have planned a route around it, like normal rush-hour traffic delays. You can read the regulation here. You can read the FMCSA's extra guidance here. Check out questions 3 through 5. Tap the green plus sign in the bottom-right of the Hours of Service screen, then choose Adverse Conditions from the menu options (the blue circle with +2h). A message box will pop up for you to approve the 2-hour drive clock extension. 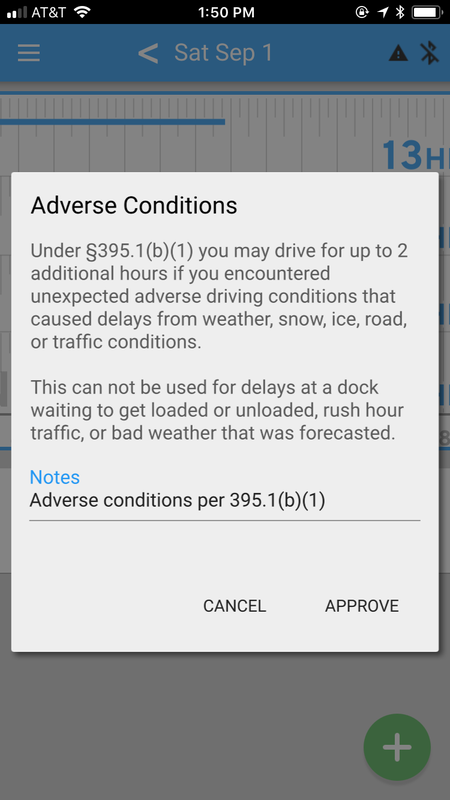 The default notation will read “Adverse conditions per 395.1(b)(1)”, but you can edit or add to it. 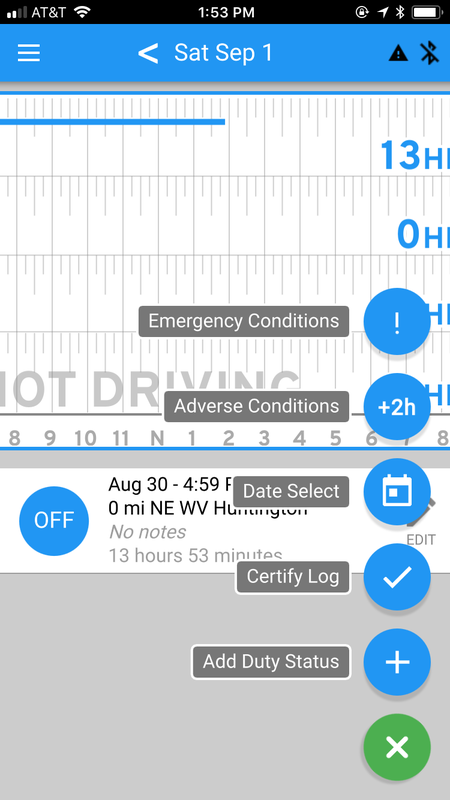 Once you've approved the extension, the app will add 2 hours to your available drive time, and the note will show on the Roadside Inspection screen if you get inspected.